An Irish Miracle is the story of Dillon and Alastar Connolly, young men separated by two generations and searching for their places in the world. From an Ohio farm to western Ireland and from the 1940s to present day, their journeys take them through peaceful countryside and personal challenges. The paths of these two young men cross in surprising and touching ways, never far from the people, the horses, and the lands they love. Rob Mahan lives in the San Francisco Bay Area with his wife Linda and the two Schnauzers who are his constant writing companions. Inspired by a dream shortly after his only son graduated from college and moved across the country, An Irish Miracle is Rob’s first full-length novel. 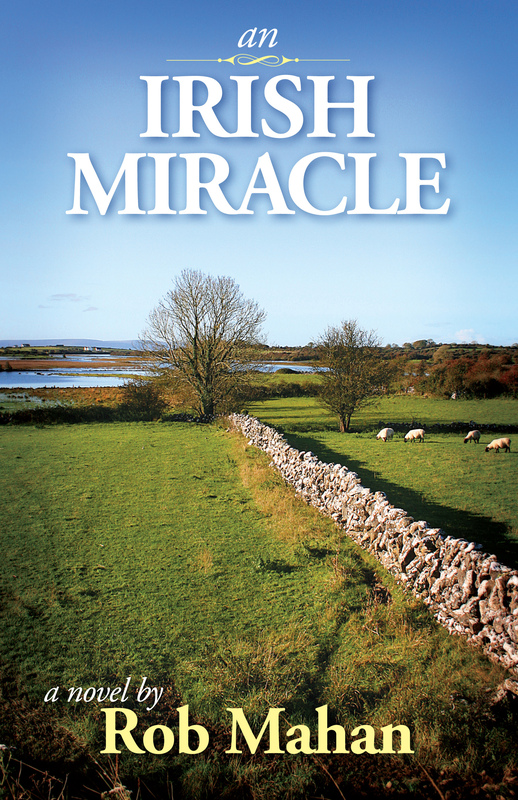 An Irish Miracle has been professionally edited by Robin Martin of Two Songbirds Press. The covers and interior of the print version were designed by Michael Mahan of Shelflife Creative. 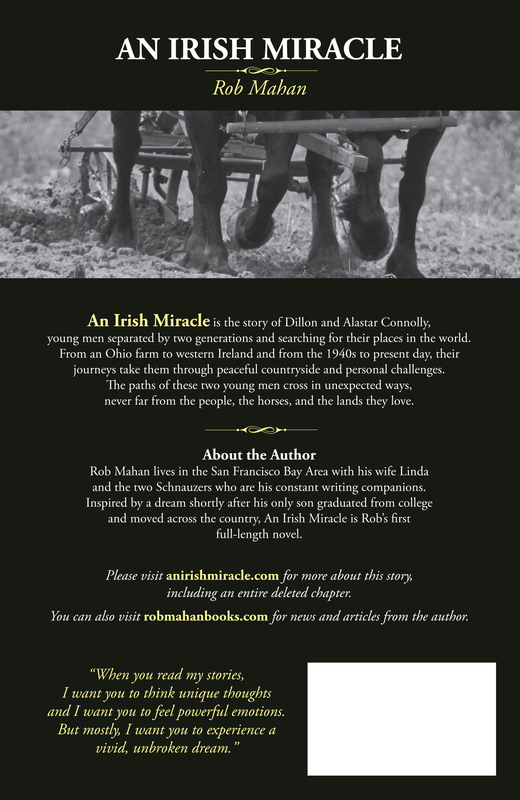 Please visit the website for An Irish Miracle to read excerpts from the book, see photographs of Ohio farmers and the Irish countryside, and peruse posts about its characters, main themes and thoughts behind the story. My next novel will continue to follow Dillon Connolly’s story as he struggles to make a life for himself in a place where he and his dog aren’t exactly welcomed with open arms. Far from it, except for a girl . . . or two. Enticing writing that makes me want to read more to find out what comes next. I am proud to know someone who writes so well. The scenes are so well set it makes me wonder how much is truth and how much is imagination. Thanks for your very kind words, Eddie. The settings are mostly true and the stories are mostly imagination.